KUCHING: When it comes to the palm oil sector, like most traded commodities, ‘smooth sailing’ is something rarely mentioned by experts of the field in regards to the prospects of this industry. Palm oil experts are generally painting a good short-term outlook for the sector in 2018 – but palm industry players are more sceptical over this year’s prospects. The sector still faces mounting challenges from the West as the European Union (EU) threaten to ban the usage of palm oil as biofuel while experts also believe that there could be a possible influx in palm oil supply as major buyers such as India and China seek alternative food or crop products. This would inadvertently affect crude palm oil (CPO) prices as well as its attractiveness towards importers. Industry players believe that CPO prices are projected to decline by 12 per cent, on the back of mounting inventory for the commodity. According to a report by Bernama, plantation consultant and Gan Ling Sdn Bhd director Ling Ah Hong said CPO prices are expected to be on a downtrend, unless there is a disruption in oilseed production, which could reverse the trend. “The rising CPO inventory in Malaysia and Indonesia is indicative of supply outweighing demand. Therefore, boosting biodiesel usage, especially in Indonesia, would be a good thing for the industry,” he was quoted as saying during the ‘Global Palm Market Outlook 2018’ session which is part of the Reach and Remind Friends of the Industry Seminar 2018 and Dialogue organised by the Malaysian Palm Oil Council (MPOC). Due to the absence of extreme weather conditions such as La Nina or El Nino, palm oil inventory this year could be more robust, hence, pressuring CPO prices particularly in the second half of this year. “According to the Ganling weather-based CPO forecast for 2018, Malaysia would see an additional 6.6 per cent growth of its inventory and hit 21 million tonnes of plam oil, whereas, Indonesia’s inventory would increase 7.5 per cent to 37.2 million tonnes. “Both countries account for 85 per cent of the global supply and if we combine both producing countries’ inventories, the growth would be 7.2 per cent or four million tonnes,” he said. Aside from that, experts also pointed out that Malaysia’s palm oil supply could also be affected by the EU’s threat to ban the usage of palm oil in its biofuel by 2021. Bernama reported that Singapore-based Palm Oil Analytics owner and co-founder Dr Sathia Varga said the website projected that Malaysia’s supply would be at 20.52 miilion tonnes, whereas Indonesia’s would stood at 39 million tonnes. “Among the challenges that lie ahead for the industry are the debate on the European Union (EU) proposed ban on palm oil, the US and the EU anti-dumping duties on Indonesia’s biodiesel, India’s import tariff on the palm oil, and labour market reform,” he said. However, he stressed that Malaysia’s move in removing export tax for the period of three months is expected to assist in reducing the inventory and a positive element for CPO price in the first half of this year. “This makes Malaysia’s CPO more attractive,” he said. The government is also more optimistic on the performance of the palm oil sector this year. Plantation Industries and Commodities Minister Datuk Seri Mah Siew Keong believed that Malaysia’s export earnings from crude palm oil (CPO) and palm oil products could increase increase to RM80 billion this year. Bernama reported that the government expected CPO production this year to exceed 20 million tonnes from an estimated 19.5 million tonnes in 2017, he said, adding that CPO and palm oil product exports this year are expected to increase by RM5 billion through more promotional activities. Mah said: “The palm oil industry is an important component of the agriculture sector in Malaysia and has been instrumental in addressing rural poverty and employment opportunities. Last year, the Malaysian palm oil sector was once again shaken by the need to ensure that its production operations and its methods are environmentally friendly and meet the global requirements for sustainable cultivation of palm oil. This came as the European Union (EU) has signaled its intention to possibly restrict the trade of food and feed crops as bio-oil into the region. With that, Malaysia has pushed its efforts to boost certified sustainable palm oil (CSPO) players across the nation in order to demonstrate its commitment towards being a sustainable and ethical source for palm oil. He highlighted that for many years now, the cultivation of oil palm has been subjected to various scrutiny from environmental organisations as well as ethical consumer advocacy groups for various reasons. “The palm oil industry has been portrayed as advocating environmentally unfriendly practices such as deforestation, contributing to loss of biodiversity, greenhouse gas (GHG) emissions, degradation of peat land, global warming as well as destroying critical habitat for endangered species including orangutans, tigers and elephants. “Apart from that, the palm oil industry is also facing other evolving issues related to health concern and inaccurate information about nutritional benefits of palm oil. “Thus, it is imperative for us to brand our Malaysian palm oil as a nutritional, sustainable and safe for human consumption,” he said. For Malaysia, some of the major palm oil sustainability certification schemes that could be obtained by palm oil players in Malaysia include the CSPO certification issued by an international certification body; the Roundtable on Sustainable Palm Oil (RSPO), and Malaysian Sustainable Palm Oil (MSPO) certification which is overseen by the Malaysian Palm Oil Certification Council (MPOCC). The RSPO is a global, multi-stakeholder initiative on sustainable palm oil. Members of RSPO, and participants in its activities come from many different backgrounds, including plantation companies, processors and traders, consumer goods manufacturers and retailers of palm oil products, financial institutions, environmental NGOs and social NGOs, from many countries that produce or use palm oil. The RSPO vision is to ‘transform the markets by making sustainable palm oil the norm’. As at January 11, 2018, 19 Malaysian companies are certified sustainable palm oil growers, with a total CSPO production capacity of 3.67 million tonnes out of the 989,892 hectares of plantation area certified under RSPO. As a major palm oil exporter, Malaysia has been involved in RSPO for since its inception over 10 years ago. However, the take-up rate for the certification under RSPO has been low in Malaysia, particularly among independent palm oil smallholders and growers. In order to encourage the more plantation growers to adopt a sustainable and more ethical way of running their operations, the Malaysian government introduced the MSPO certification which cater more towards the needs and criteria of local planters. To further demonstrate its commitment towards a more sustainable future in the palm oil industry, early last year, the Malaysian government has made it compulsory for Malaysian planters to obtain the MSPO certification by the end of 2019. According to MPOCC, for palm oil plantation entities that are already certified with RSPO standards, they need be certified against MSPO standard by December 31, 2018 while palm oil entities without RSPO certification, the timeline to be MSPO certified is by June 30, 2019, and for independent and organised smallholders; December 31, 2019. It pointed out that the government will be making available financial incentives to support the industry with the MSPO certification compliance processes. “As a move towards branding our palm oil as sustainable palm oil, it is vital to make MSPO certification scheme mandatory. As of December 2016, the total planted area that has been certified under MSPO is 222,778.22 hectares, constituting of 215,979.67 hectares under the plantation companies and 6,798.55 hectares under the independent and organised smallholders. “Therefore for MSPO to be successful, it requires the cooperation and support from the whole supply chain of the industry. “All members of the industry need to play a vital and pivotal role in producing high quality palm oil, branded as premium oil which is to be associated with MSPO. “MSPO will not only assure consumers of the quality of the Malaysian palm oil but it also will raise the image of Malaysian palm oil products and strategically brand the products in the international market,” Mah said, noting that the government strives to make MSPO accepted internationally. In a move to address the issue of climate change, European lawmakers made the decision to revamp its renewable energy policies. In 2017, the European Union announced plans to introduce more stringent policies and changes to its Renewable Energy Directive (RED) to reform the power market and reduce energy consumption that envisage more ambitious climate goals. The draft on new policies and changes to its RED has recently been approved by European lawmakers, infuriating major plantation products exporters in Southeast Asia, including Malaysia, Indonesia and Thailand. According to an article by Reuters, under the plan backed by the European Parliament, renewable energy would account for at least 35 per cent of the EU’s overall energy use by 2030. Last month EU national governments agreed a target of 27 per cent, disappointing environmental campaigners who see it as too little to combat climate change. The draft measures are aimed at helping the EU meet its overall goal to reduce greenhouse gas emissions by at least 40 per cent below 1990 levels by 2030, following the Paris Agreement to limit global warming to no more than two degrees, Reuters reported. The target requires the promotion of better insulation and energy use in buildings, more efficient consumer goods and smart appliances in homes. Under the draft measures, biofuels made from other food and feed crops cannot exceed seven per cent of all transport fuel. Earlier this month, in a bid to boost demand for Malaysia’s palm oil, the government announced a temporary suspension on the 5.5 per cent export tax of crude palm oil (CPO) from Malaysia. Given that the festive seasons such as the Chinese New Year, is looming closer, traders believed that the move would make Malaysian palm oil more attractive and competitive, especially in price sensitive markets such as India and China, which are two of the world’s largest edible oils buyers. “We are going to see buying coming in from China ahead of the Lunar New Year. India will also restock in the first and second quarter of the year as they have low stock levels,” Reuters quoted a Kuala Lumpur-based trader as saying. He also estimated that Malaysian palm oil exports could pick up 10 to 15 per cent on a monthly basis. The minister of plantation industries and commodities Datuk Seri Mah Siew Keong told a press conference earlier this month, that the tax suspension was aimed at boosting palm oil prices and reducing high stockpiles, adding that he expected stocks to continue to increase in 2018. According to news reports, the suspension, which is open to all companies with crude palm oil export licenses, would be scrapped before the end of the three-month period if crude palm oil stocks fall to 1.6 million tonnes. “(The scheme) is one of the short-term pre-emptive measures by the government to manage the fall in crude palm oil prices, so that the smallholders’ (small-scale farmers) incomes are not impacted and the country’s oil palm industry continues to be competitive,” Mah was quoted as saying. Experts of the field generally view this temporary suspension as positive for Malaysia palm oil sector. MIDF Amanah Investment Bank Bhd’s research arm (MIDF Research) viewed the news positively as a lower inventory would usually lead to higher CPO price. “We also believe that major consumers such as India and China will take this opportunity to buy more palm oil from Malaysia,” it opined. It also believed that palm oil inventory has shrink in India as export to the country (from Malaysia) dropped 40 per cent month-on-month (m-o-m) to 100,161 metric tonne (MT) in December 2017, giving India more reasons to view Malaysia as the ‘go-to’ country for palm oil. “This was caused by the country’s decision to raise its import duty on both crude and refined palm oil earlier in November 2017,” the research team explained. Of note, in November 2017, India announced that it has raised its import taxes to the highest in more than a decade, with its import tax on CPO increased to 30 per cent, from 15 per cent, while the duty for refined palm oil has been raised to 40 per cent from 25 per cent. The duty hike was to encourage India’s local oilseed prices. As for China’s market, MIDF Research added that the demand from China is expected to be supported by pre-stocking activity ahead of the Chinese New Year which will fall on mid February this year. Meanwhile, Kenanga Investment Bank Bhd (Kenanga Research) pegged a less sanguine view on this tax suspension. “While the market response has been positive, we have yet to see a strong positive price impact in recent days, as this coincided with a continued strengthening of the ringgit to US dollar at RM4 as of January 10 from US dollar to ringgit at RM4.05 as of end-2017,” it explained. PublicInvest Research also cautioned that the move could be muted for CPO price, as it is currently under the pressure of high inventories and strengthening Malaysian ringgit. It highlighted that refiners would now have to compete with the export markets whereas previously the 5.5 per cent export taxes would have accorded them some bargaining power to source CPO cheaper than export prices. However, it pointed out that integrated refiners would be somewhat cushioned by their upstream exposure. “With this scheme and in view of tightening supply in the upcoming low output months, we continue to anticipate stronger CPO prices towards end-of the first quarter of 2018 (1Q18). “We make no changes to our earnings forecasts and CPO average selling price (ASP) forecast of RM2,600 per tonne for 2018 (compared with RM2,792 per tonne in 2017A),” it added. 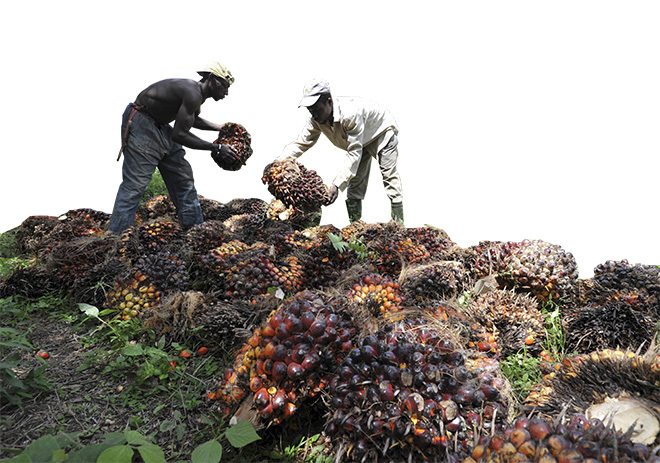 While the intention of the temporary suspension of tax on exports of palm oil is to reduce supply and encourage exports of the commodity, PublicInvest Research believed that the move could trigger trade protectionism amongst the countries “Indonesia, the world largest palm oil producer, might also roll out some incentives to undercut the CPO prices in order to push for their palm oil exports. “While the announcement may spur demand in price-sensitive markets such as India, Pakistan and China, this is balanced by a recovering production outlook and strengthening ringgit, thus rendering the net price effect likely flattish and potentially negative towards the end of the suspension period during the first leg of 2018 production uptrend,” it explained. 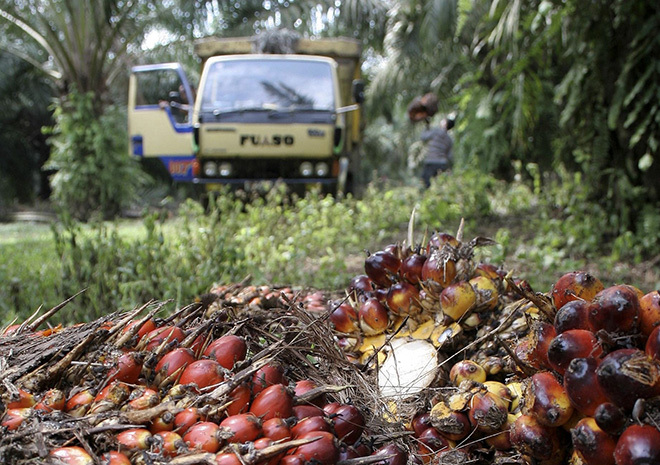 What’s in it for the future of palm oil? Analysts are generally neutral on the outlook of the palm oil sector this year, given the unexpected factors that could affect CPO prices and palm oil inventories. In the near term, based on Malaysia’s recently released palm oil data in December 2017, MIDF Research expect January production to decline by nine per cent to 1.67 million MT, as it believed that production has peaked in October and the trend of seasonal production decline has resumed in December. “The data (December 2017) is slightly negative to CPO price but export should strengthen from January onwards. expectation. However, we remain positive on the sector as the latest move by Malaysia government to temporary suspend CPO export tax price should encourage demand from major consumers such as China and India,” it said. It added, “We maintain our palm oil price forecast of RM2,900 per MT for 2018. Reiterate positive view on the sector due to improved demand outlook for palm oil in 2018. Meanwhile, AmInvestment believed that although CPO production might taper off in 1Q18 after peaking in October 2017, palm inventory in Malaysia might stay above two million tonnes due to the high level of inventory carried over from December. “Nevertheless, the government’s recent abolishment of the export tax on crude palm oil may help boost exports and prevent palm inventory from exceeding 2.9 million tonnes,” it highlighted. Aside from that, it pointed out that while Malaysia is a producer of palm oil, palm imports surged in 2017. 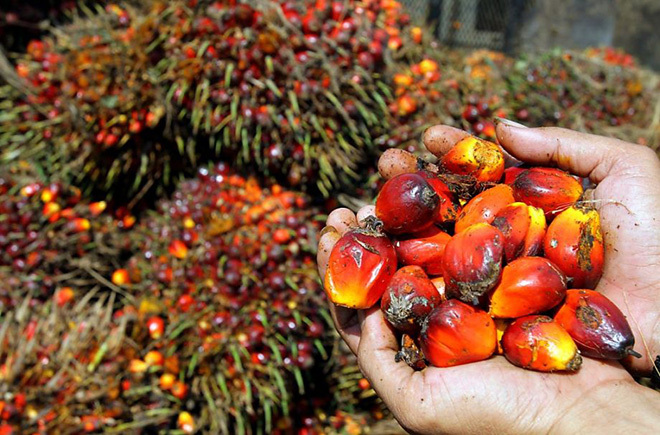 “We believe that downstream companies in Malaysia bought palm oil from Indonesia as feedstock for their oleochemical and refining operations,” it opined. The research team noted that the price of CPO in Indonesia is lower by RM200 to RM300 per tonne compared with Malaysia due to their higher infrastructure and transportation costs. “Imports of palm oil in Malaysia climbed by 89 per cent from 574,730 tonnes in 2016 to 1.09 million tonnes in 2017. Comparing December against November 2017, palm imports slid by 49.3 per cent to 41,401 tonnes,” it added. Domestically, AmInvestment pointed out that interestingly, the domestic consumption of palm oil has increased recently. It said, domestic disappearance of palm oil went up by 19.6 per cent from 2.8 million tonnes in 2016 to 3.4 million tonnes in 2017. The domestic disappearance of 3.4 million was about 17.1 per cent of Malaysia’s CPO output of 19.92 million tonnes in 2017. “We do not know the reason for the surge in the domestic usage or hoarding of palm oil. After all, the implementation of the B10 biodiesel policy in Malaysia has been delayed. “On a monthly basis, domestic disappearance of palm oil shrank by 13.6 per cent to 274,724 tonnes in December 2017,” it added. Overall, AmInvestment believed that CPO prices would remain resilient in the first half of 2018 (1H18) supported by a slower growth in palm oil production. “We have assumed an average CPO price of RM2,650 per tonne for Malaysia in 2018F, which is slightly weaker than the RM2,700 per tonne assumed for 2017E. “We think that supply of palm oil would continue to rise in 2018F but at a lower magnitude compared with 2017E. We reckon that CPO output may be lower year-on-year (y-o-y) in 1H18 before picking up in 2H18. “As CPO prices are forecast to be relatively flat in 2018F, net profit of the plantation universe is expected to be supported by expansions in FFB production. “Increases in mature areas are expected to drive FFB output growth more than enhancements in FFB yields. Younger plantation companies are expected to record stronger expansion in mature areas compared with their larger counterparts as they were more aggressive in new plantings of oil palm in Indonesia in the past years,” it explained. Kenanga Research, meanwhile, highlighted that robust demand remained key to maintaining CPO prices. “With production likely to meet or exceed the previous high set in 2015 at 19.96 million MT, we believe export demand is the prime price driver for the year ahead, rather than stocks, which would likely maintain above the psychological two million MT mark for the most part,” it said. Over the short term, the research team expected to see decent demand supported by festivities and a widening circa US$140 per MT discount to competing soybean oil (SBO), which compares favourably to the long-term average discount of circa US$145 per MT (in comparison to the 2017 average of circa US$90 per MT). In terms of the development between biodiesel and crude/gas oil, Kenanga Research is bullish on the current trend as it believed that palm oil-gas oil (POGO) spread would likely stabilise at US$100 per MT. It said, “With the sharp appreciation of crude oil prices since mid- 2017, gas oil prices have, likewise, adjusted upwards to hit circa US$600 per MT as of end-December, while CPO prices at key port Rotterdam remained at the US$650 to US$750 per MT range. It said it is positive on this trend as a narrower spread gives a higher incentive for discretionary biodiesel blending, leading to higher palm oil usage. “Nevertheless, in our view we believe that POGO spreads are unlikely to narrow further as current levels are in line with existing Indonesian biodiesel subsidies of circa US$100 per MT. “Thus, we think that CPO prices have touched floor valuations against gasoil prices and are unlikely to see substantial declines in the near-to-mid term, in line with our price expectation for 1Q18,” it added. Overall, Kenanga Research expected short-term CPO prices to hold up with favourable spreads against soybean oil and gas oil, but soften in the medium-term in view of production and inventory uptrend after 1Q18, before gradually improving after the seasonal peak in late-3Q to early 4Q18. It noted that potential supporting factors include stronger-than-expected La Nina impact and extended support from higher crude oil prices.